With our plans of travelling to Europe in winter this year, I recently asked a few travel bloggers for their recommendations for the best winter destinations in Europe. 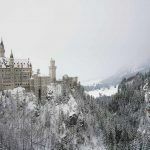 If you are too are dreaming of one of the many winter breaks Europe has to offer but not sure where the must see places in Europe in winter are, then this post is a must read for you! There will no surprises that many travel bloggers told us the best places to visit Europe in winter are winter wonderland cities full of magical Christmas markets and snow covered mountains, fairy tale like castles and various scenes straight out of a Christmas movie. However if you are wondering where the warm places in Europe in December are, then you are luck because we also have a few recommendations on the best places for winter sun in Europe. 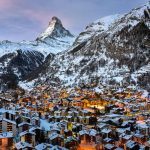 Whatever sort of European winter getaway you are looking for, this post will show you some of the best European cities to visit in winter. Click here to see the full details of our 1 month Europe in winter itinerary. 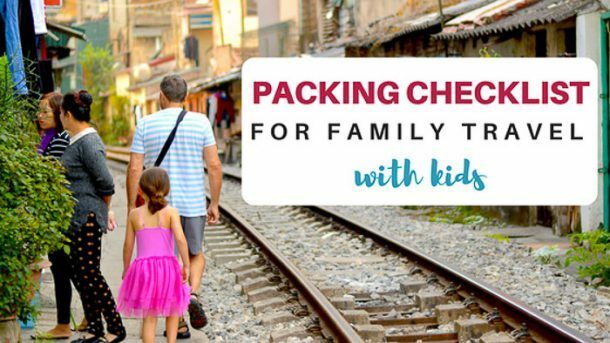 2.8 Download our FREE Printable Packing Checklist!! 2.9 We will email you a link to your FREE packing checklist. 2.19 Want to keep this handy for later? 2.20 Click on one of the images below and save to Pinterest. 2.21 You have Successfully Subscribed! Iceland is a stunning country, and a winter Europe trip means the chance to see the Northern Lights. While it is important to check road conditions to your intended destinations, a Europe winter vacation in Iceland is low season, so accommodations will likely be easier than during the peak season. However, the hours of sunlight will be limited each day. Icelandic airlines like Wow Air and Icelandair generally offer a free layover in Iceland of up to a week, which is a great way to expand an another trip. Our family of five rented a car and spent 10 days touring the Ring Road of Iceland, constantly stunned that each view was actually more beautiful than the last. 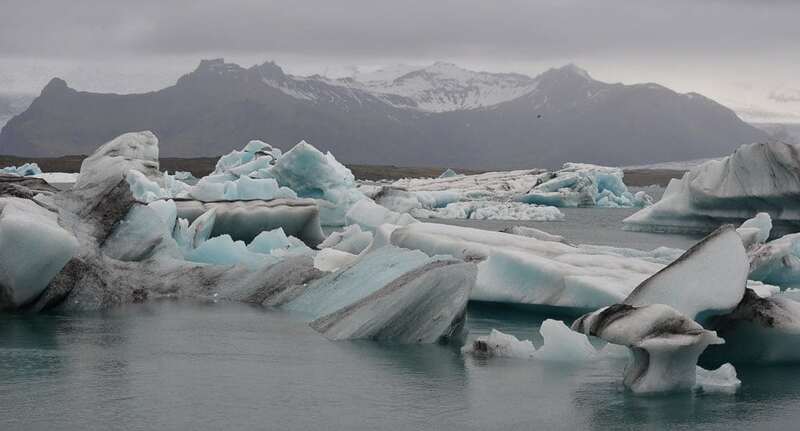 Iceland offers plenty of waterfalls, geothermal pools, beautiful icecap mountains, black sand beaches, volcanos and whale watching opportunities, along with a glacier lake, an active geyser, and bubbling mud pools. Yes, outdoor swimming is popular year around, and make sure not to miss Iceland’s most popular tourist location, the Blue Lagoon. While south Iceland is the most popular tourist destination and where winter travelers may prefer to stay, a winter season in Europe may encourage a return trip during the summer to check out any parts missed. Heading to Iceland? 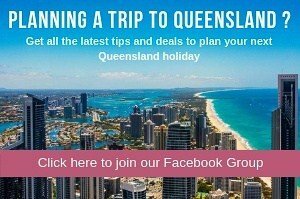 Click here to check for family friendly accommodation options and here to check what family friendly day trips are available. One of the best European countries to visit in winter is Finland. What’s not to love about the home of Santa Claus? You are almost always guaranteed snow, the food is delicious and the people are ultra friendly. Then add Lapland, Reindeer, Saunas and endless forests and you have winter scenes that you only thought existed on Christmas cards. Finland has a wide choice of winter activities. Why not try nordic skiing or if you are brave enough try walking across a frozen river? As the word Sauna is a Finnish word you have to try this quintessential Finnish experience. Helsinki is your gateway to the country with flights arriving from all over the globe. It’s one of the cool European cities to visit in winter for a few days before heading out to the beautiful Finnish countryside. If culture is your thing then Turku is your city. If you love islands then head out to the Aland Islands. Last but not least there is Rovaniemi the city that leads you to Santa Claus. Meeting Santa Claus in Lapland, surely there can be no better things to do in Europe in winter? Heading to Finland? Click here to check for family friendly accommodation options and here to check what family friendly day trips are available. 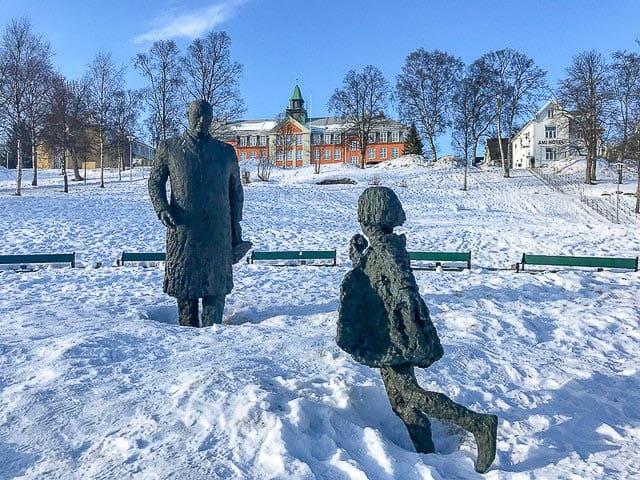 Sweden is one of the best places to visit in Europe in winter with the kids as it is well set up for the colder weather. 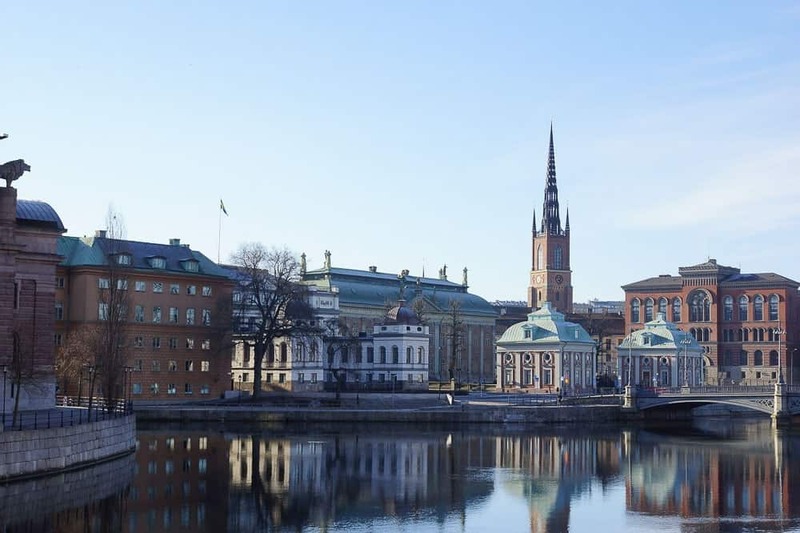 It has the perfect mix of indoor and outdoor activities and the Swedish tradition of Fika (basically coffee breaks) mean that you have plenty of opportunities to take a break from the cold. One of our favorite family friendly activities was visiting Skansen outdoor living history museum which replicates Swedish life of bygone days. It is great to experience what life was like and the buildings are all open so there are plenty of chances too take a rest from the cold. Our little one particularly loved walking around the Nordic Zoo which is on site, and it was lovely to see the animals in there traditional habitat. On top of these Swedish food is perfect in cold weather and is very child friendly. Who doesn’t love meatballs and mash! Warning you’ll never be able to eat at Ikea again after eating the real deal. Stockholm is one of the perfect Christmas breaks Europe offers, with quaint Christmas markets scattered across the city. Heading to Sweden? Click here to check for family friendly accommodation options and here to check what family friendly day trips are available. Norway in winter has a special feel to it and a must for your Europe winter itinerary. You will likely fly into Oslo so start your visit with the Viking Ship Museum and Folkemuseum to get a sense of the history. After that the kids can blow off some steam doing winter activities at the Oslo Winter Park. Escape the cold with a visit to the indoor Oslo Reptile Park and watch the snakes and other animals being fed. Continue your trip by doing one of the most scenic train trips in the world across to Bergen. The Bryggen area of Bergen with it’s colourful timber buildings is a must, as is taking the Fløibanen Funicular to enjoy the view over the city. There is a great playground for the kids to enjoy, and a cafe to warm up in with a hot chocolate afterwards. One of the best places in Europe to visit in winter is to see the Northern Lights, and Tromsø is located perfectly within the viewing band. Combine viewing the lights with some husky sledding or visiting a reindeer farm for a perfect family day in the snow. For a real splurge, stay at an ice hotel or book an igloo room and really create a Northern Lights experience your kids will never forget. Heading to Norway? Click here to check for family friendly accommodation options and here to check what family friendly day trips are available. It might be cold outside but Denmark can be one of the best winter holiday destinations in Europe to take your family. Denmark is one of the best places to visit in December in Europe, just prior to Christmas, so you can revel in the Christmas markets, Christmas food and so many magical traditions. The best place to start your holiday is the Danish capital Copenhagen. Copenhagen is one of the best winter city breaks Europe has to offer with a large number of things to do in winter. Your first stop should be the world famous Tivoli Gardens, where you can enjoy a fun filled day of rides, concerts and entertainment for all ages. Next it’s on to see the crown jewels at Rosenborg castle and to witness the daily changing of the guards ceremony at Amalienborg Palace where the royal family live. 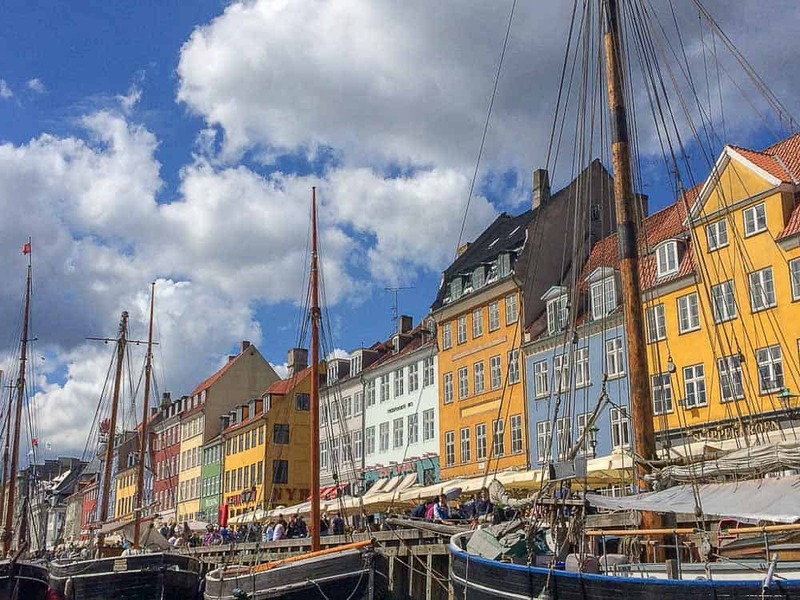 Lunch at the colourful Nyhavn is a must, as is a canal tour and a trip to the LEGO store. Take some time to head out of the city and explore the nearby castles of Kronborg and Frederiksborg, the Viking Museum, Aaros in Aarhus and Hans Christian Andersen in Odense. 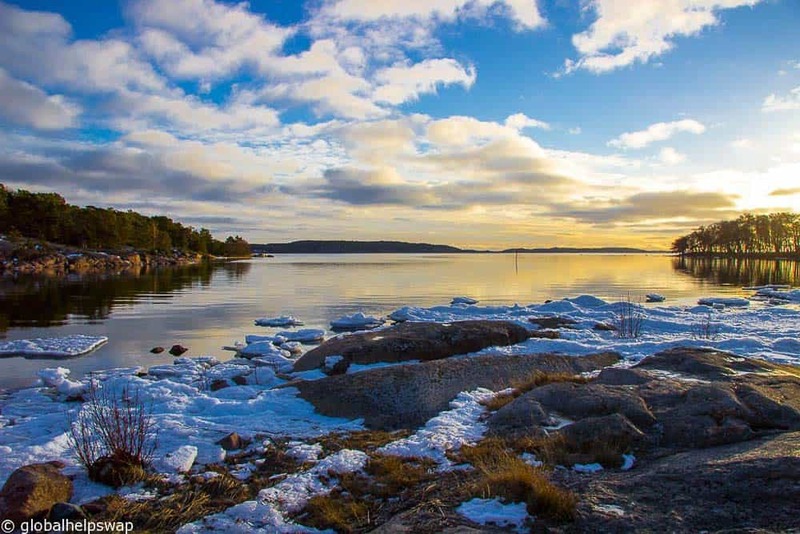 There are also plenty of places throughout Denmark where you can enjoy ice-skating or even the seriously invigorating ice swimming (if you’re game)! Sadly some big attractions such as Legoland and the GeoCenter Møns Klint are closed over winter. Our top tip for visiting Denmark in winter is to wear plenty of layers, as it’s freezing outside but toasty warm inside. You will also find there is often more rain than there is snow in Denmark, so make sure you take your windproof raincoat with you and have some fun. Heading to Denmark? Click here to check for family friendly accommodation options and here to check what family friendly day trips are available. Scotland is one of the great winter destinations, Europe offers. During the winter months, you’ll find fewer people, lower prices, holiday celebrations, and scenic wintery landscapes. The downside of course is the unpredictable weather, but just come prepared with warm clothing and rain gear! If visiting Europe in December, I’d recommend that visitors spend some time in Edinburgh as it is the best European cities to visit in December for it’s holiday celebrations. 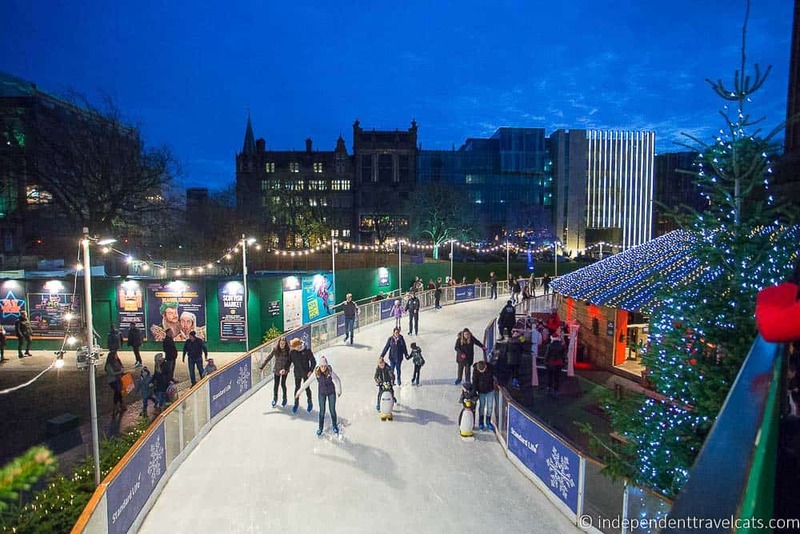 There are loads of things to do in Edinburgh for Christmas including a large Christmas market, theater performances, festive afternoon teas, tree lighting ceremonies, ice skating, carnival rides, Santa Claus grottos, and much more. 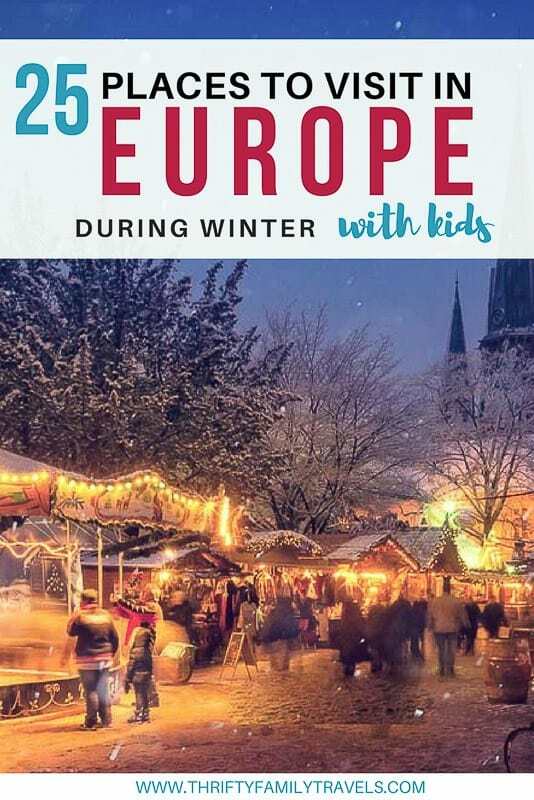 There are loads of things to do for families around this time of year, making it one of the top winter destinations in Europe. Edinburgh is also one of the best places to visit in January in Europe as you can also celebrate Hogmanay (New Year’s Day) in the city which is one of the city’s largest festivals. However, just note that this is one of the busiest (and most expensive in terms of lodging) weeks of the year to be in Edinburgh. Heading to Scotland? Click here to check for family friendly accommodation options and here to check what family friendly day trips are available. The winter nights in London are very long, with darkness descending before 4 pm and not lifting until around 8 am – but Christmas in London is such a magical place to visit at this time of the year that you hardly notice. One of the advantages of the long nights is that you get to show your kids the city sparkling and lit up – you’d have to wait until after 10pm for that in summer. The time around dusk – between 4 and 5.30pm in winter – is magical and it’s great for them to see it. The beauty of London in winter is that the weather won’t deter you much because there’s so much to do indoors. London has some of the best museums in the world – the Science Museum in South Kensington has some brilliant interactive displays, and its neighbour the Natural History Museum tells the story of the natural world from the dinosaurs to the present day. 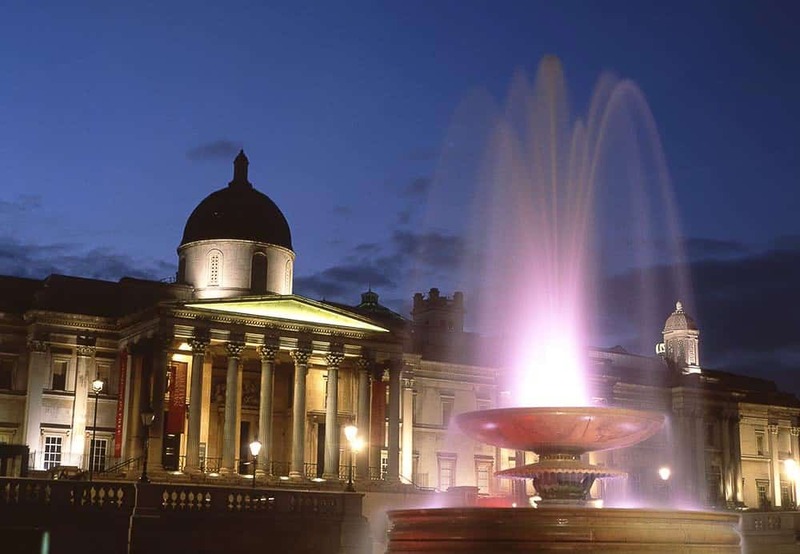 If you have a budding artist, the National Gallery and Tate Modern are great places to take them for inspiration. London also has some of the best entertainment in the world in the West End with its many theatres and cinemas. If you love theatre, then London is one of the best places in Europe to visit in winter as it’s pantomime season, a great time to take the kids for some traditional fun and slapstick. The city has an abundance of year-round attractions for kids as well, and the likes of Battersea Park Children’s Zoo are great places to visit at any time of year. Heading to London? Click here to check for family friendly accommodation options and here to check what family friendly day trips are available. Paris is a bucket list destination for many travellers and shouldn’t be missing on any Europe itinerary. Even though winter is maybe not the time of the year where you can have classic picnics along the Seine but it’s nevertheless a great season to explore the city. The Champs Élysées are illuminated in festive lights, ice skating rinks are opening all over town and the many Christmas markets inviting you to purchase some Christmas gifts. One of the most beautiful places in Europe in winter! 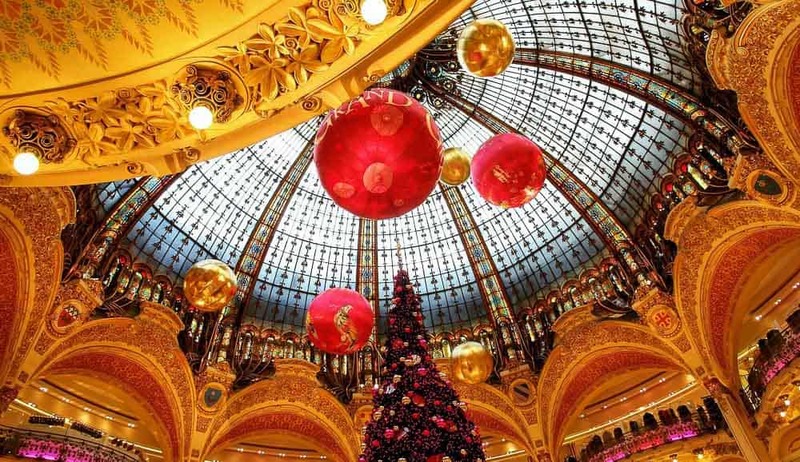 A must do activity for every Parisian kid is to pay a visit to the big department stores. While the facades of the Gallery Lafayette and Printemps are nicely decorated, the real highlight are the window displays. Each shop window showcases a different Christmas scene with animated figures, trains, wrapped gifts and everything that else that spreads Christmas cheer. Winter is also a superb time to visit Disneyland Paris. Christmas and – are the Halloween are the biggest events in the Park and worth a visit for everyone who wants to get enchanted by a Disney winter wonderland or a spooky horror show. If the weather is not on your side, Paris has also a lot of indoor activities for families: the Aquarium of Paris at Trodacero, the Galerie d’Evolution or the Science Museum at Parc de la Villette to name a few. Even the Louvre is great for all ages – rent one of their interactive Nintendo DS guide that easily keeps even the fidget kids engaged. Heading to Paris? Click here to check for family friendly accommodation options and here to check what family friendly day trips are available. Head to France for one of the unforgettable winter holidays Europe has to offer. Drink in the stunning mountain scenery in the snowy French Alps by strapping on your skis and taking to the slopes. Visit the highest point in Europe by taking the Aiguille du Midi cable car in Chamonix to the heady heights of 3,842m above sea level. Kids will love standing in the glass box at the very top! Chamonix offers family skiing in Les Houches, high mountain railway rides and the chance to walk into a glacier in Chamonix’s ice caves. One of the best places to visit in Europe during winter for a skiiing holiday. Easy Jet flies into Geneva, then take a 1 hour transfer to Chamonix with Chamonix Valley Transfers (CVT) or Mountain Dropoffs. Stay at the Rocky Pop hotel in Les Houches or for a magical stay to truly experience the magnificence of the Alps we suggest a night’s stay at the high altitude mountain refuge hotel Terminal Neige, located right on the glacier’s edge. Heading to Chamonix? Click here to check for family friendly accommodation options and here to check what family friendly day trips are available. Germany in winter can be a true bliss. 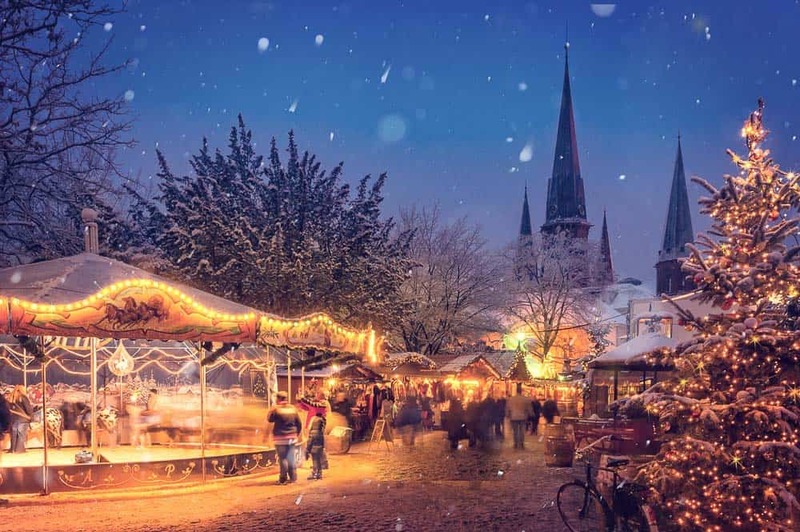 Imagine snow-covered little alleys, steaming chimneys and the sweet smell of mulled wine, coming from one of the many Christmas markets that open up in almost every single German city during December. Definitely a must for places to visit in Europe in December. 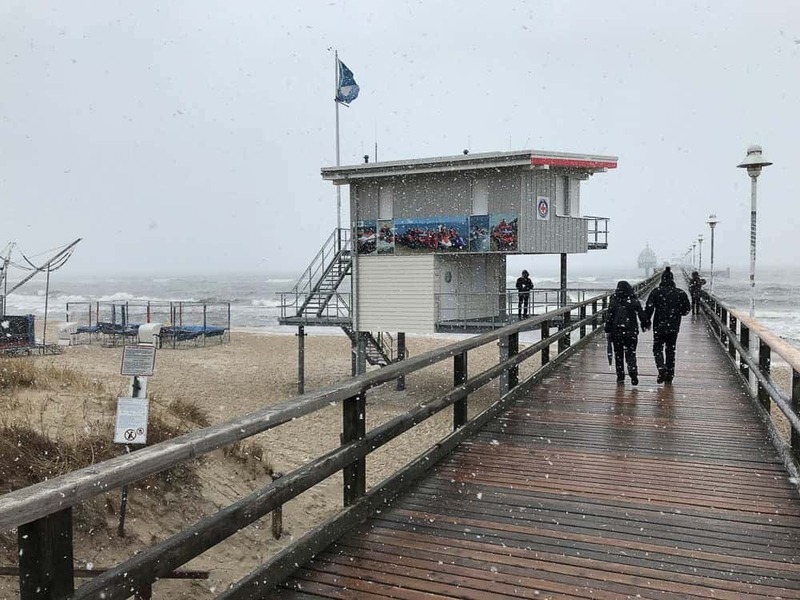 One of our favourite destination in Germany in winter is the Baltic Sea coast and especially the island of Usedom. Germany’s second largest island in the Baltic Sea offers romantic villages and cities that seem to be stuck in time. Most of them are very traditional, with fishermen taking their boats out in the morning before they cure their goods and little markets that will warm your heart. Especially for kids, the Baltic Sea coast in Germany is a true paradise. Put the whole family in warm clothes and head to the beach. Walking through the sand in summer is obvious, but doing it in winter, when the sea is even darker and has an even more intimidating feel, is something special. Listen to the seagulls and cure the cold and red faces with some warm tea afterwards. Too cold for you? Don’t worry, there are plenty of museums and things to do on the Baltic Sea coast in Germany, such as swimming pools or cinemas. Heading to Baltic Sea Coast? Click here to check for family friendly accommodation options. 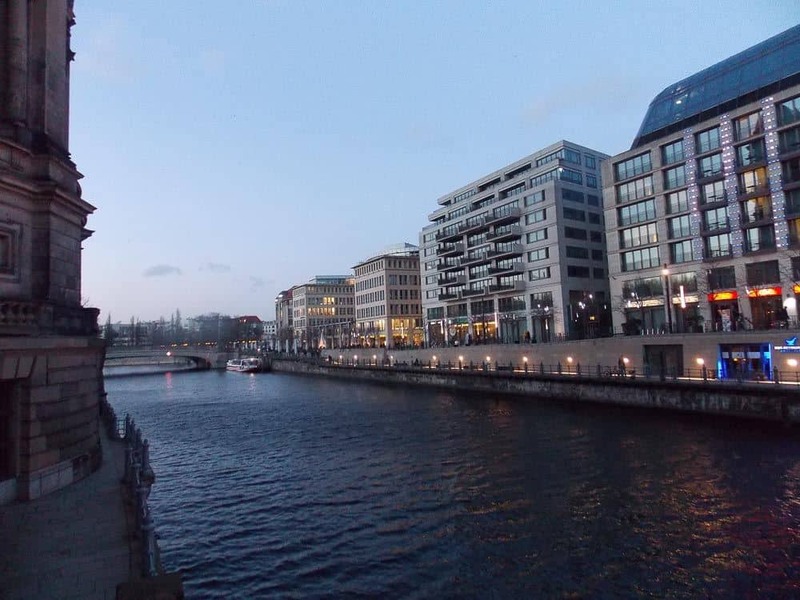 Berlin,Germany is one of the best places to go in Europe in winter with family,friends and kids. The Charlie Check point is the best place to visit within the city. We find US soldiers still protecting the territory. It is still known to be the Berlin Wall crossing point between East and West Berlin. The Parliament and other city attractions include souvenir shopping,travelling and having fun with kids in the mall and other ongoing winter celebrations happening in this part of the county. The Berlin wall and its popularity makes tourists plan a visit to enjoy the beauty and diversities that exists in the place. The Reichstag building is also on the travel wish list of many travellers coming from across the world. Click here for more top tips on things to do in Berlin with kids. Heading to Berlin? Click here to check for family friendly accommodation options and here to check what family friendly day trips are available. For the past 4 years, we have been visiting the Christmas Markets in Germany each December. I can undoubtedly say that they are my all-time favourite winter activity and having visited with children between 1 and 6 years old they are also perfect for families. My favourite market with kids is the Striezelmarkt in Dresden. The Dresden Christmas Market is the oldest in Germany. Looking more like a village than a temporary market the wooden stands and all beautifully decorated. There is a central Christmas tree brought in from Norway and a giant version of the revolving Christmas pyramid, a traditional decoration for this region. Be sure to look up at the top of each stand. You’ll see the decorations come to life with moving figures playing out Christmas escapades. Hot spiced Gluhwein is the drink of choice for adults.Kids can enjoy a hot Kinderpunsch or feast on Currywurst (sausage in a sweet, mild curry sauce), Quarkbällchen (like a doughnut hole), Lebkuchen (decorative heart-shaped cookies) and Stollen (German Christmas cake). There are ferris wheels, mini trains and merry-go-rounds and many activities for kids. Inside the larger cabins, you’ll find a children’s cinema, puppet theatre, candle making, art and crafts and our favourite the Christmas bakery where children can shape and decorate their own cookies. You will find Christmas markets all over Germany, they run from late November and often close by Christmas Eve. Popular with locals and tourists alike, book your accommodation in advance and aim to visit during the week. Be sure to visit more than one market since they each have their own theme and atmosphere. Dresden, for example, has 5 markets within walking distance of each other. Click here for a full list of Christmas Markets around Europe. Munich and Bavaria are one of the great winter holiday destinations Europe offers over the Christmas period. If traveling to Europe in December, Munich is great as it is renowned for its amazing Christmas markets where you will find everything from hand crafts to gourmet foods. The Gluewien or the hot wine is tradition of the winter markets. In Munich we found the hop on hop off bus was great in winter to keep us all warm and see the sights. We got off at Nymphenburg Palace and visited the Marstall Museum. This museum is full of Royal Carriages and coaches from the Bavraian Royal family. The Munich Residence has an amazing armoury and crown jewels on display. Munich is city thats alive in winter and covered with snow which is always a highlight for the kids. Each Bavarian town you visit will have a different Gluewein to sample. The fairy tale castles in Bavaria in winter are postcard perfect. 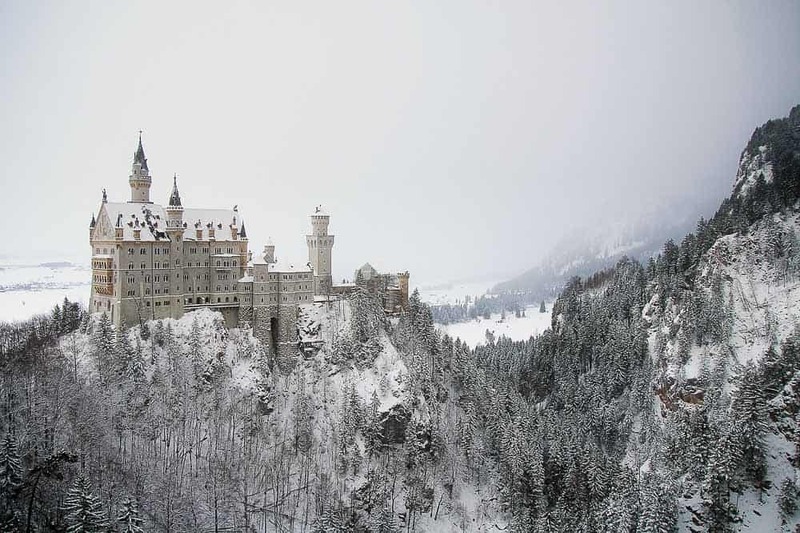 The kids will love visiting Neuschwanstein in the snow, its just like the Disneyland castle. Heading to Munich? Click here to check for family friendly accommodation options and here to check what family friendly day trips are available. 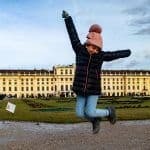 Click here for more top tips for things to do in Munich with kids. 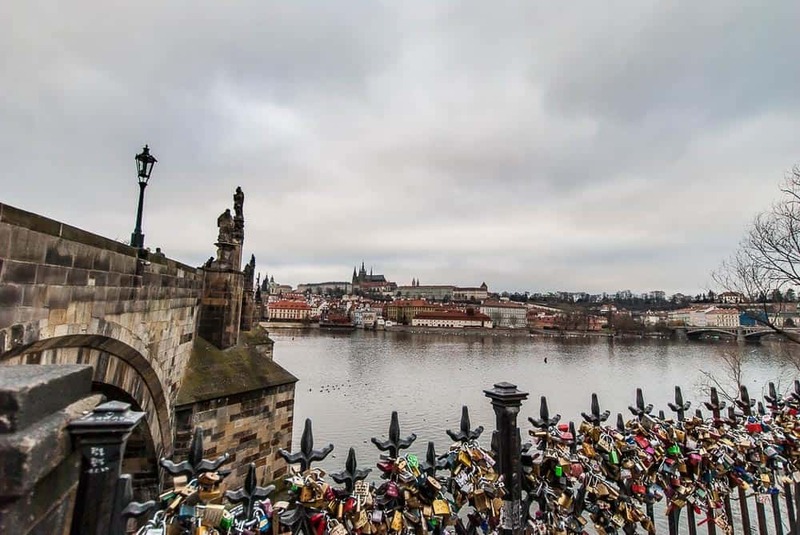 There is so much to see and do in Prague, the capital city of the Czech Republic, that 5 days isn’t nearly enough time to explore them all with the kids. Prague castle isn’t your typical castle; it is an entire complex. There are several buildings and alley ways to explore, including the Cathedral, and each open at various times. Be sure to purchase the proper ticket, as there are various options available for different types of travels and their budgets/abilities, we wouldn’t want you to buy the wrong one. We did, and discovered we weren’t able to climb the cathedral tower. Crossing Charles Bridge is also an event, as each statue and every angle has something new to offer. Old Town Square holds the Astronomical clock, as well as many Christmas Market stalls. While this isn’t the only market in town, it is one of the biggest and most centrally located. The Christmas Market also runs until Jan 6th most years so don’t worry if you can’t make it before the New Years. There is also the Apple Museum, the Lego Museum and Grevin Wax Museum that kids love to explore; no, not apples the fruit, Apple the company. There is an entire museum dedicated to Apple Computers and Steve Jobs. The guided tour is a app you download to your iPhone and read as you pass from station to station. It really was neat to explore and the kids loved the Pixar section. 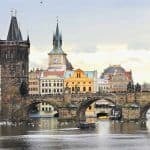 There are so many day trip options available from Prague that I would suggest everyone drive to Prague. However, flying in and taking a guided tour is also a great idea, just be mindful that most tours don’t allow kids under 5 years old to join. Public transit is extensive in Prague but everything is so close together, and there is so much to see on the way to each major attraction, that walking really is the best use of your time…and it’s free. Stay someone where central in town. We managed to find this amazing hotel, Residence Bologna, not far from the action and it was in the perfect location. Read our full review here. We even managed to get a family room for not too expensive, considering it is the capital city, and there were two full bedrooms with a wall between. Hallelujah, the kids can go to bed and we can stay up for travel planning or watching tv…or blogging. Winter isn’t all that cold in the city, but it isn’t beach weather either. The surrounding country side can get it’s fair bit of snow fall but the city usually manages to stay a few degrees warmer, as most cities do, and it usually just rains in December. Also, if going during the Christmas break, crowds start to form on December 28th like clockwork. Everyone wants to be in the big city for the New Year’s Festivities (which go off at 6pm, not midnight, I love it!) so I would strongly suggest getting the majority of your “inside things” sightseeing done before then and leave the “outside things” for later on in the trip. Heading to Prague? Click here to check for family friendly accommodation options and here to check what family friendly day trips are available. Click here to read our full guide in visiting Prague with Kids. A fairytale town at any time of year, with the addition of twinkling fairy lights and beautifully decorated trees, Salzburg becomes a real winter wonderland in the colder months and makes it one of the best places to travel in Europe in winter. 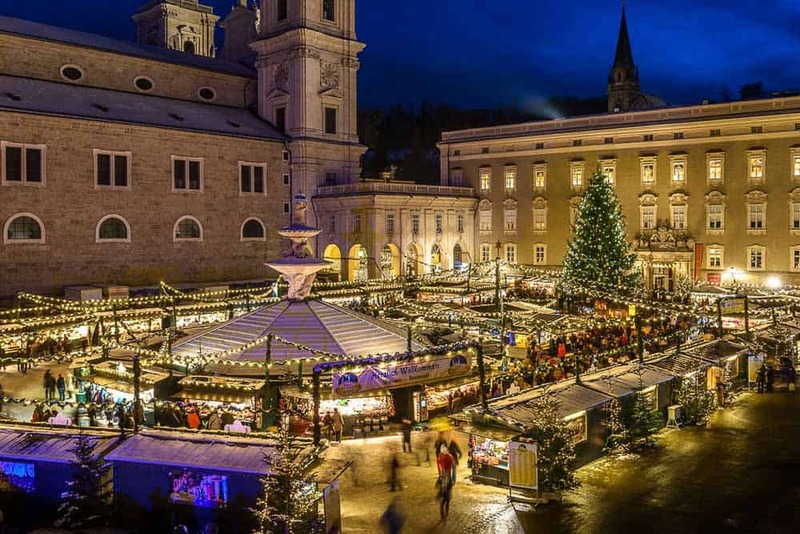 If travelling Europe in winter, you won’t be able to resist the charm of the Christmas markets which appear on Salzburg’s streets towards the end of November. 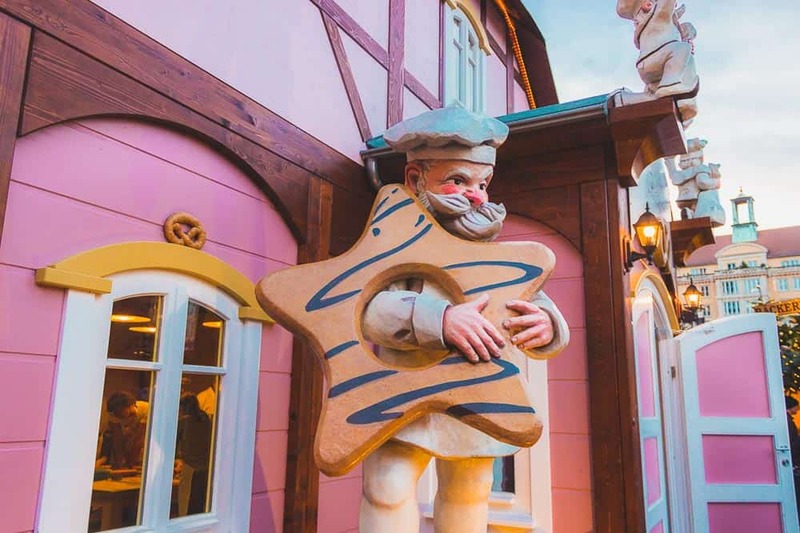 The Christkindlmarkt dominates the Old Town and here the whole family will enjoy browsing the Christmas decorations, handmade wooden toys and trinkets, and sampling gingerbread and roasted chestnuts. At Hellbrunn Palace, kids can post off their own Christmas letter at the special Christmas Post Office, as well as enjoying pony rides and a petting zoo. A great way to admire the stunning architecture of Salzburg with its winter dusting of snow is on a horse and carriage ride around the Old Town. Try out your ice skating skills (or just watch) at the ice-rink that is built in Mozart Square during winter. For lovers of ‘The Sound of Music’, no visit to Salzburg is complete without wandering the grounds of Mirabell Palace. Be sure to catch the funicular (rack railway) to Hohensalzburg Fortress for great views over the city. Salzburg is a great choice for one of the winter getaways Europe offers for the whole family and with its location in the heart of Europe, it is easy to reach by air, train or car. Heading to Salzburg? Click here to check for family friendly accommodation options and here to check what family friendly day trips are available. There’s a misconception that winter holidays in the Tyrolean Alps are boring if you don’t ski. After spending eight winters with our son in this mountainous Austrian province, I am here to tell you differently. Explore Innsbruck, the capital of Tyrol, on a self-guided walking tour. Climb the City Tower for great views of the surrounding mountains. Better still, take the cable car from the city to the top of the Nordkette mountains. Go sledding! It’s less strenuous than skiing and no training is needed as long as you take it slow until you get the hang of it. Various ski resorts with toboggan runs have sleds to rent at the cable car stations. Experience the unique Tyrolean Advent spirit at the Christmas markets if you’re visiting in December. They all cater for kids in various exciting ways. Good options are the Christmas markets in Innsbruck, Seefeld in Tirol, Rattenberg, and Mayrhofen. But heck, every little village sets out to make Christmas and New Year fun for the whole family. 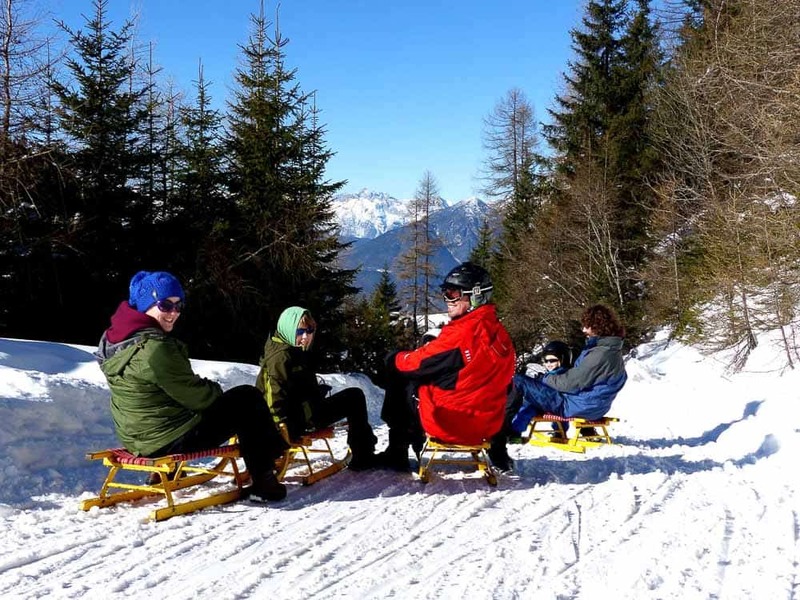 Innsbruck or an Alpine village with easy access to ski resorts as well as other attractions are good options to stay with kids in winter in Tyrol. Innsbruck is easily accessible by air from major UK, Dutch, and German cities. Of course, it can also easily be reached by train from Germany, Italy, and Switzerland. Heading to Tyrol? Click here to check for family friendly accommodation options and here to check what family friendly day trips are available. 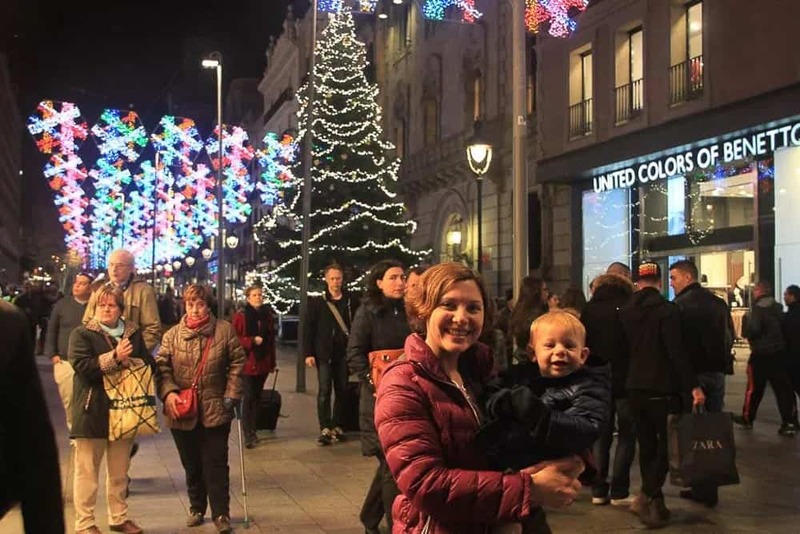 Slovakia’s capital city, Bratislava, may not be on most parents radar as one of the best European destinations in December with kids, but the city has so much to offer the entire family. If planning a winter trip, the best time to visit is in December to experience the Christmas Market. Families can wander over 100 red and white stalls bursting with homemade goods and traditional Slovakian cuisine. The Bratislavské rožky, a crescent shaped pastry, must be sampled. It is delicious! Exploring the Old Town and hunting down the famous statues, seeing St. Martins Cathedral, visiting the Bratislava Castle, and stopping by St. Michael’s Gate are a few attractions worth seeing. For families with time to go outside the city center, kids are sure to enjoy the Atlantis Science Center and Zoo Bratislava. We suggest getting the Bratislava City Card to save money. 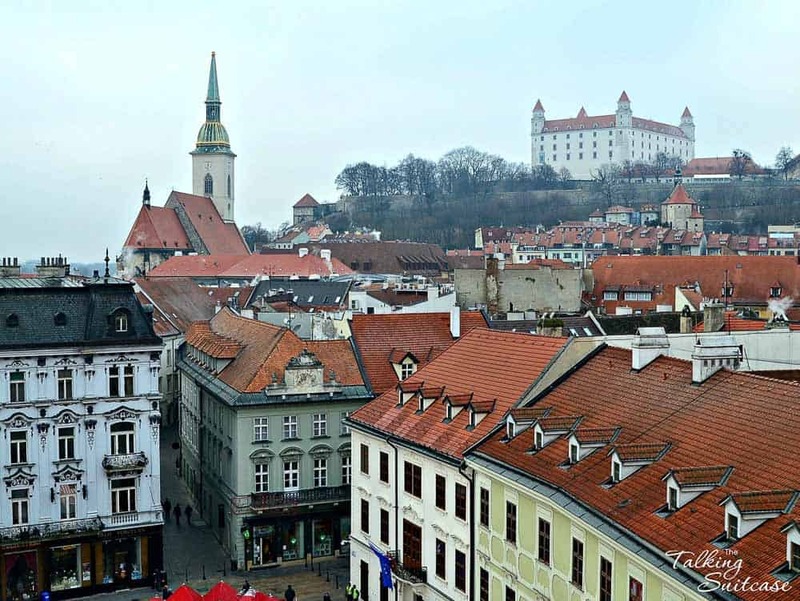 Getting to Bratislava is easy from popular winter destinations such as Vienna and Budapest. My family of four took the bus from the Vienna Airport to Bratislava for less than 20€ total! This was approximately half the cost of the train and took roughly the same amount of time. Families will likely enjoy the extra space offered by renting an apartment. However, there are plenty of hotels within walking distance of the Old Town to suit all budgets. Make sure to add this underrated city to your next European adventure! Heading to Bratislava? Click here to check for family friendly accommodation options and here to check what family friendly day trips are available. The mountain town of Bansko is Bulgaria’s largest ski resort and is just two hours from the capital of Sofia. Nestled in the foothills of the Pirin National Park with the Rhodope and Rila mountains within touching distance, it’s a great place to experience a traditional white Christmas. It’s also a great place to experience a Bansko summer too! Bansko is a holiday resort for all nationalities, within 2 hours of the Greek border and easy access for Turkey, Russia and Romania it boasts facilities for a great family holiday. It’s easy to rent an apartment here, fast internet access is ubiquitous and it’s not at all expensive. In fact, the mountain resort has been recommended for several years in a row as being the cheapest place to ski in Europe! As well as skiing and snowboarding you’ll find snowmobiles, dune buggies (yes even in winter), snowshoeing and fabulous hot springs – both free ones in the woods and fabulous luxurious ones when you want to treat yourself. 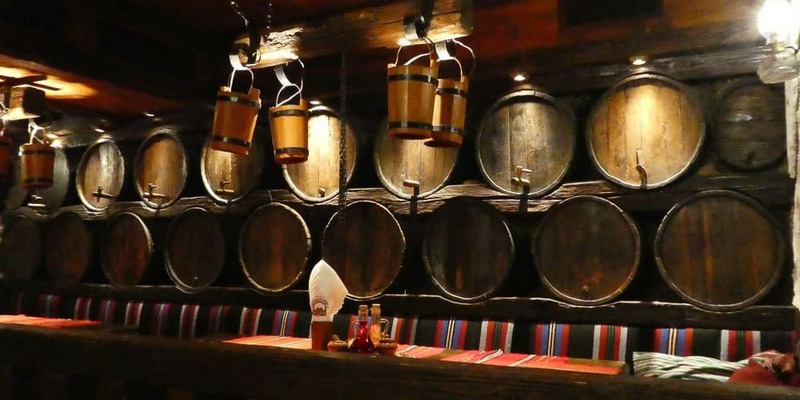 At the end of the day, there are numerous local restaurants (Mehanas) with open roaring fires and heaps of great local food and good Bulgarian wine to enjoy. Heading to Bansko? Click here to check for family friendly accommodation options and here to check what family friendly day trips are available. We spent Christmas 2017 in Switzerland and it is absolutely perfect for anyone wondering where to go in Europe in winter for that stereotypical white Christmas we grow up hearing about in Australia. There are fabulous Christmas markets, Christmas events, decorations and a good possibility of snow with places where you can be guaranteed it. Everything is picture perfect. We travelled around Switzerland for two weeks over the Christmas period and had snow everywhere. Nothing will ever beat my memory of walking along Lake Geneva in a Christmas market with the kids, snow softly falling, driving some vin chaud (hot wine) with carols playing. I have never felt so much Christmas spirit! Montreux on Lake Geneva is definitely a must visit as they have a whole Christmas festival – you can visit Santa’s workshop up in the mountains, see Santa flying over Lake Geneva, experience a medieval Christmas and there is a fabulous Christmas market. 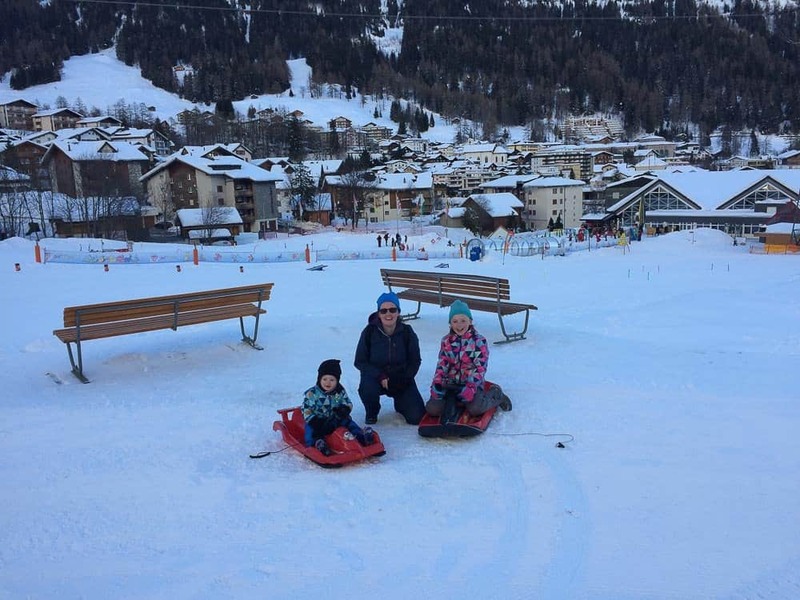 We spent Christmas Day sledding in Leukerbad which was just perfect. There is a great chance of getting snow here and you can get a cable car easily to surrounding mountains to pretty much guarantee it. It’s easy to get to Switzerland and travel around. It’s in the centre of Europe with great public transport although we found a car easier and more economical. 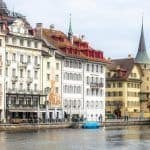 Heading to Switzerland? Click here to check for family friendly accommodation options and here to check what family friendly day trips are available. While Switzerland is a winter wonderland for young and old in winter, it is Interlaken that is probably one of the best places for kids. Located between Montreux and Lucerne the region of Interlaken (though the town of Interlaken is lovely, I am taking more of the region) is perfect for kids: snow, lakes, mountains, and many winter sport activities for all ages make it the perfect place to visit in winter. If your kids are a bit older they will enjoy a trip to Schilthorn – Piz Gloria which had been a filming location for a James Bond movie. They can visit the 007 museum and enjoy the interactive museum where they can touch and replay many scenes of the movie. They will probably love to eat in the revolving restaurant, too! 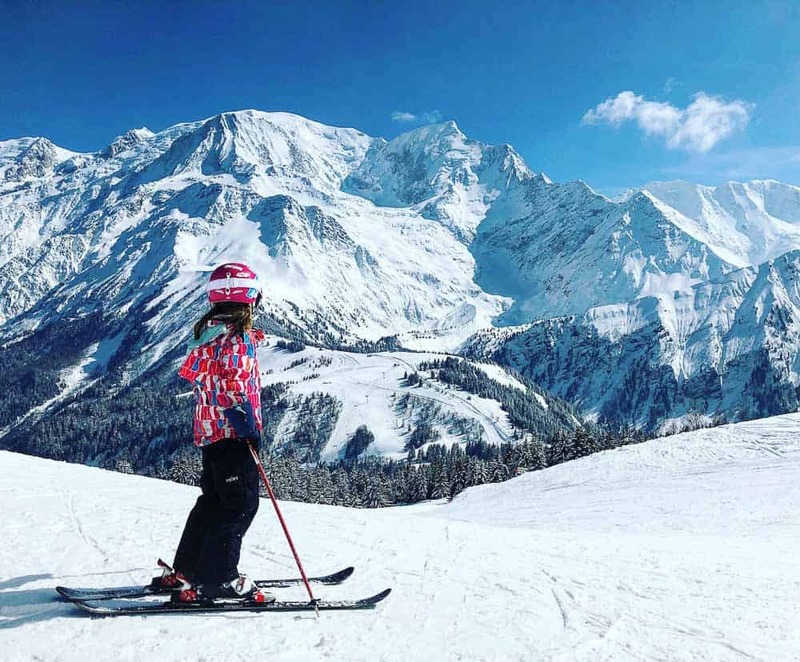 If your kids have never been skiing then you should book some ski lessons for the kids – the region is one of the best and well known for winter sports of all kinds. Pick a slope that is suited for the needs of your family and enjoy an amazing sunny and yet snowy time in one of the most beautiful regions of the world. Heading to Interlaken? Click here to check for family friendly accommodation options and here to check what family friendly day trips are available. 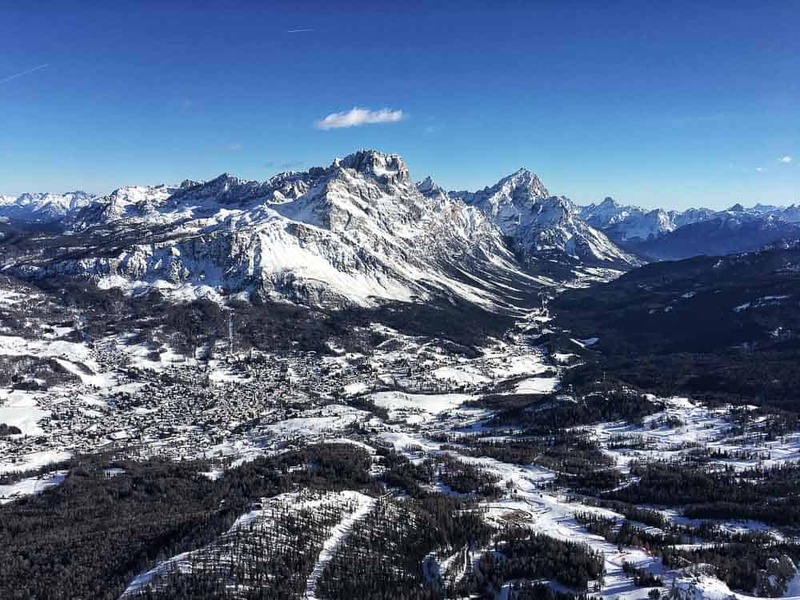 Italy is a fantastic destination to visit any time of the year, including in the winter. Families traveling with kids never have a hard time finding places and activities that children love. While the Alps in the north, and the Appennini cutting across the “boot” are perfect place to see the snow and embark in adventure and winter sports, the volcanoes of Campania and Sicily are perfect hiking destinations. Big cities such as Rome, Florence, Milan or Naples have a great combination of cultural and fun activities – with parks galore for children. Smaller villages have that much missed “back then” feel, with life passing slowly. There’s lakes, there’s the sea and the beautiful nature. Last but not least, Italy is the ultimate foodie destination. While adults can indulge in the most gourmet style dishes; children will have their fair share of the perfect pizza, pasta, cotoletta alla milanese, tiramisu and gelato. Can’t go wrong with that! Heading to Italy? Click here to check for family friendly accommodation options and here to check what family friendly day trips are available. Aside from the host of ski-related activities, there are a lot of things to do in Andorra from the many centuries old Romanesque churches to hot springs at Caldea, the largest thermal spa complex in Europe which has day and night activities and pools for all age levels. 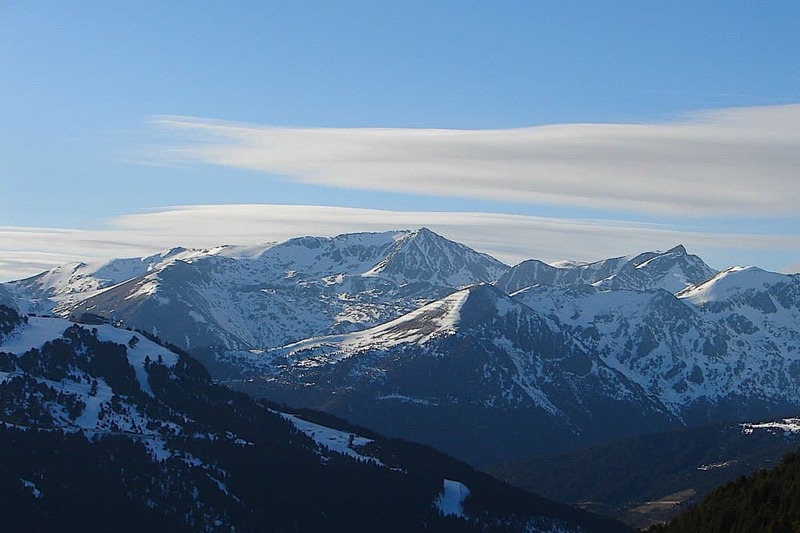 Heading to Andorra? Click here to check for family friendly accommodation options and here to check what family friendly day trips are available. Are you looking for that European holiday charm without the frigid temperatures? Look no further than Barcelona! In December and the beginning of January you’ll see every street adorned with twinkling light displays overhead as you stroll the cobbled streets with locals enjoying their own time away from work (rather than mobs of tourists as during other times of year). Your days will be filled with exploring the diverse neighborhoods all around the city and world-class attractions like the Picasso Museum and Sagrada Familia, all while basking in temperatures much more comfortable than northern neighbors, making it a great choice if you would prefer one of the warm winter destinations Europe offers. Our kids love visiting Barcelona. It’s visually exciting at every turn – Picasso’s unusual paintings, the tile mosaic lizard of Park Güell, the magic fountain at the base of Montjüic. And their favorite activity? Warming up with some fresh churros con chocolate after a chilly day of exploring. Barcelona has an easy-going atmosphere and children are welcome most everywhere. The winter is mild, with average daytime high temperatures of 55-62 Fahrenheit or 14-18 degrees Celsius, and very few rainy days. Additional layers, like a hat or scarf, are needed after the early-evening sunset. 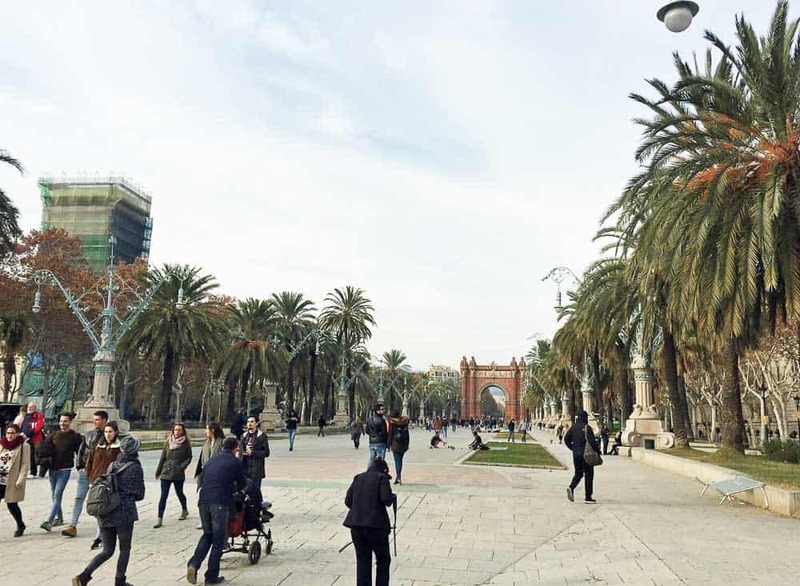 Outdoors, families can enjoy the open-air top level of a hop on hop off bus tour, feed birds on Placa de Catalunya, ride the cable car up to Montjuic and run around, or check out the paths along the seaside and harbor. Indoors, families can tour Camp Nou, Europe’s largest football stadium, explore the highly-rated CosmoCaixa science museum, and have fun with interactive exhibits at the Maritime Museum or the Chocolate Museum. For a tasty treat in cool weather, try churros con chocolate, a regional favorite of sweet, donut-like long breads dunked into a cup of warm chocolate pudding. Getting to Barcelona is easy. The main railway station, Barcelona Sants, handles high-speed trains from far and wide, and the Barcelona airport receives regional and international flights. In the city, there are multiple transportation options such as shuttle, bus, taxi, or rapid transit. Stay in the city center to make the most of your visit to family-friendly Barcelona! Heading to Barcelona? Click here to check for family friendly accommodation options and here to check what family friendly day trips are available. 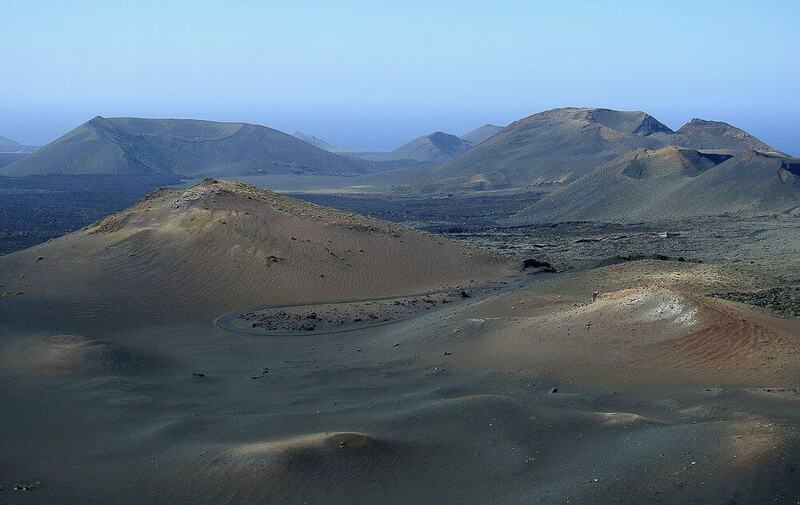 The Spanish island of Lanzarote is only 78 miles off the coast of Africa making it a year round sunshine destination. If you are looking for the warmest place in January or December, than consider Lanzarote with temperatures range from 14 to 20 degrees celsius and the short flights from Europe mean it’s ideal for children. This Canarian island has plenty to offer families. Ever visited a volcano? Timanfaya National Park is your opportunity. Take a tour and find out how more than 100 volcanos erupted to form this landscape resembling the surface of another planet. At the top, water is thrown into the geyser and erupts as steam. The art of Cesar Manrique is another draw, visit his house at the Fundacion Manrique where lava flows through the interior and subterranean rooms resemble an Avengers style lair. Jameos del Agua, a network of caves turned into an open air theatre, is another Manrique creation as are the colourful mobiles you will see everywhere on the island. Throw in black sand beaches, camel riding, water parks, boat trips, body boarding at Caleta de Famara and accommodation ranging from yurt villages such as Lanzarote Retreats to five star all inclusive hotels like the Princess Yaiza Hotel and you’ve got yourself the ideal family holiday for an escape from the winter rain and cold. Heading to Lanzarote? 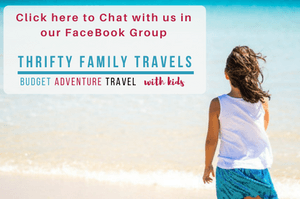 Click here to check for family friendly accommodation options and here to check what family friendly day trips are available. Thanks for including my contribution. I’ve really enjoyed reading the others – I fancy Iceland! Aww man this makes me miss the snow. After a couple years in the northern hemisphere I’m all backwards being back downunder!